The 254 series comprises AISI316L stainless steel EXTRA-LARGE camera housings, designed to protect CCTV large optics in industrial, marine and highly corrosive environments. 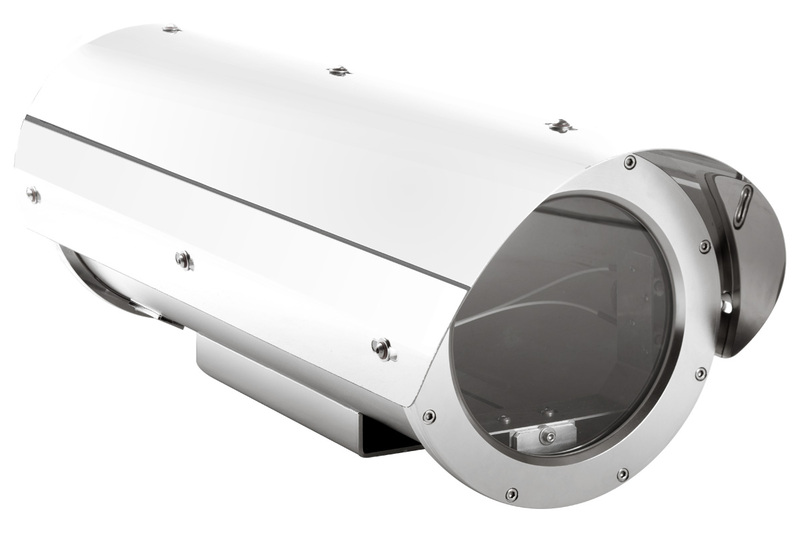 With its outer body, a 254mm (10-inch) diameter and 600mm or 700mm long stainless steel tube, this housing is the largest AISI316L stainless steel camera housing available on the market. The stainless steel bracket is conceived to reduce vibrations and to keep the housing still in most windy places and for those special applications that require the absence of any vibrations. The housing has been developed to fill a gap in the market of CCTV whereas big zoom lenses (such as Raymax "cats 2000", Myutron PH33X16HS-RGE, Fujinon C22 and D60 series, Pentax H20ZAME and H55ZAME series, Kowa LMZ1000AM, Tokina TM55Z1038 series) couldn't fit any of the existing stainless steel housings and to provide at the same time a high quality product. A version of the housing with integrated wiper system is available (254WW) as well as an extensive range of washer fluid tanks with integral pumps and a variety of mounting brackets and accessories.